Mike Katz, senior member of Britain’s Jewish Labour movement, heckled on stage at the party's conference. A senior member of Britain’s Jewish Labour movement was heckled on stage at the party's conference on Tuesday as he denounced the anti-Semitism in the party. Mike Katz, the national vice-chair of the organization, said the lack of support for Labour among British Jews made him "weep", according to a report in The Telegraph. Katz was quoted as having said that he was "dismayed" that Labour's ruling body had failed to include rule changes to root out anti-Semitism in its package of reforms. Members of the audience shouted during his speech, "You don't speak for all Jews" and "rubbish!" according to The Telegraph. In recent months, Labour has been forced to suspend dozens of its members over anti-Semitic comments. One of these members is former London mayor Ken Livingstone, who was suspended for saying Hitler had supported Zionism "before he went mad and ended up killing 6 million Jews". Livingstone has refused to apologize for his comments and has repeatedly stressed that he stands by them. Labour leader Jeremy Corbyn, who was re-elected this week, has come under fire himself due to his calling Hamas and Hezbollah his "friends" and for outright refusing to condemn those two terrorist organizations despite being urged to do so by local Jewish groups. He recently, however, took back those earlier comments. In his remarks on Tuesday, Katz said, “I don’t want to be here because I wish there hadn’t been an upsurge in anti-Semitism, Islamophobia, misogynistic and homophobic vile hate speech in our party." "If we have to wait a year, sadly so be it, but the next best thing we must do is renew our commitment to dealing with this, to show we are serious of dealing with ant-Semitism, racism and homophobia,” he added, according to The Telegraph. "It's up to all of us, from the very top of this party downwards to take responsibility for calling out hate speech in our party whenever we see it," Katz said. 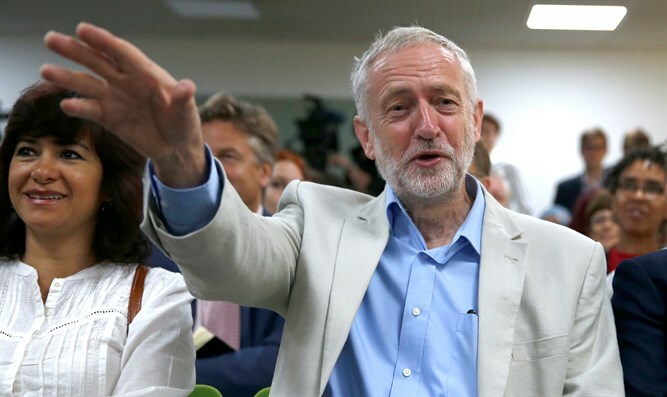 He reportedly received two standing ovations when he said his organization would be working with members, MPs and Councillors, to show that "Jews are welcome in the Labour party." He added that he was "sad to report" a number of incidents at the conference's exhibitions and that support for Labour among British Jews is reported to be at its lowest ever, which "makes me weep." Katz said that while the Jewish Labour Movement feels “let down”, they are "going nowhere."